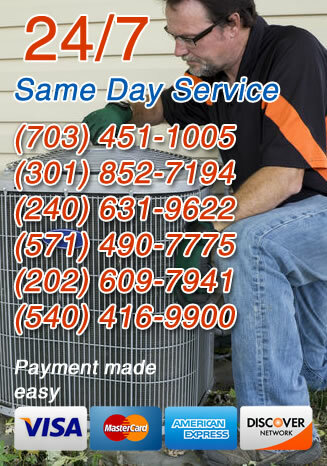 The expert technicians at Service Doctors can install any type of water heater for homes in the Washington, DC area. We make sure to go over all your options so that you make an informed decision about the best water heater for your needs and budget. All of our energy–efficient models are designed to help you save energy and water, so call us today to review your options with one of our experts and select a new water heater for your home. We sell and install some of the most efficient and durable water heaters on the market. We will also remove and dispose of your old water heater before we install the new one. Call today to learn more about our quality water heaters and installation services. When you are ready to replace your old water heater with a more efficient one, you’ll want to consider many factors, including the fuel type and the condition of your pipes. We are glad to walk you through the process so that you feel good about your decision. We can also take a look at your current water heater and plumbing system and make recommendations based on your needs and energy–saving goals. After our expert plumbers install your efficient new water heater we’re always available for maintenance to keep it running smoothly and efficiently for years to come. Tankless water heaters are some of the most efficient, reliable, and long–lasting water heaters available. Unlike traditional tank water heaters, tankless models do not need to constantly heat an entire tank of water. Instead, they only heat the water as it’s needed, which means that tankless water heaters use a lot less energy and can help reduce your energy bills. In addition to their energy–efficient and durable design, they also save a lot of space since they don’t require a large tank. For gas units, you may need to add extra gas piping or more ventilation, but tankless models are usually powered with electricity because fuel cost isn’t as much of an issue due to their efficiency. Also keep in mind that you will need routine maintenance and yearly check–ups for your tankless water heater, since calcium can build up and cause problems if it’s not professionally cleaned once a year. Call us if you have questions about tankless water heaters. Tank water heaters have improved greatly over the years, and the new models are much more efficient than water heaters manufactured 5 to 10 years ago. While all tank water heaters will have some standby heat loss, you can purchase a new model with a heavily insulated tank. Like home insulation, tank water heaters have an R–Value, so you should look for models that have between an R–12 and R–25 rating. Proper installation is important because it will help maintain your tank water heater’s efficiency and extend the life of the unit. You should only hire a qualified contractor to install your new tank water heater. Our technicians have years of experience installing all types of tank hot water heaters, so call us today to discuss your options and set up an appointment. Service Doctors offers top brand water heaters, and we provide the best water heater services in the Washington D.C. area. We are always happy to answer questions and provide expert advice. Whether you’re interested in a traditional hot water tank or a highly efficient new tankless system, call us any time for our expert recommendations and installation services.